Customizing the entire photo booth experience is so fun. It’s not just your names or logo on the photo strip. 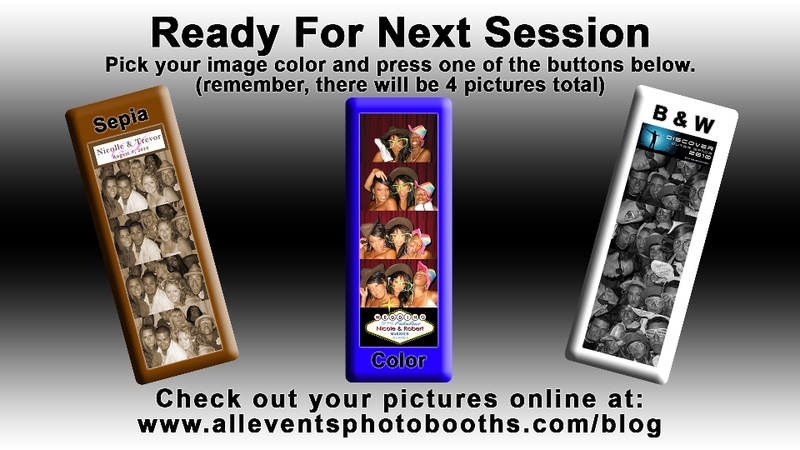 We want your photo booth experience to be truly unique for you and your guests. Check the tabs for different ways that we customize every event. One of our favorite things to do is create a print layout that matches your invitation, or other event decor that has been created. Some of the elements that we change on a regular basis include background colors and designs, borders, rounding corners, logos, size and placement of different elements, and backdrop curtain colors. Since our booths are controlled by a large touchscreen, we have complete control over the options that your guests will have in the photo booth. You want them to have the choice between Color or Black & White pictures? Sounds good. What about Color, Black & White, or Sepia? No problem. 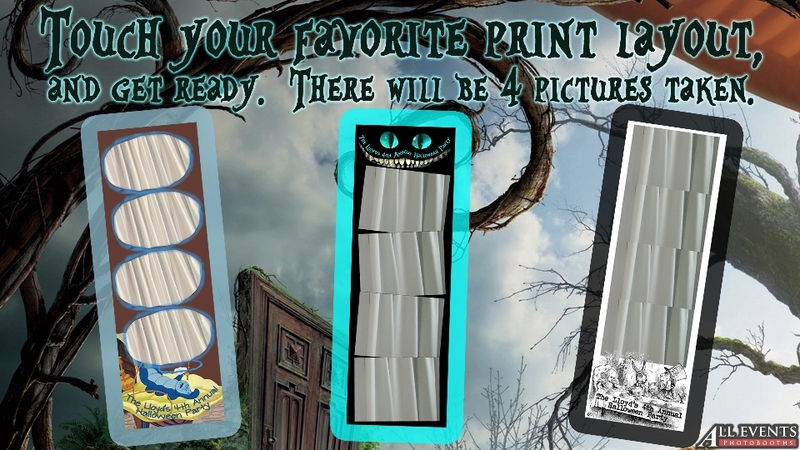 Why not create more than one custom print layout and give the guests the choice on the screen? We love doing that one! 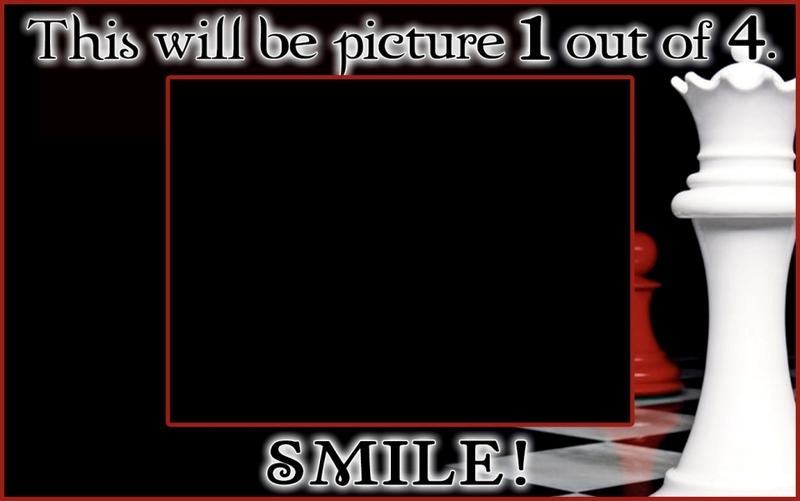 We can even do a green screen photo booth and give the guests an option for which background they will have, or just load the system with a bunch of green screen backgrounds and set them to appear randomly in the pictures. The point is, your photo booth experience should include whatever options you want for your guests. Click through the accordion buttons to check out a few examples. Branding is important for any event. Whether we are including your names and the wedding date for your wedding reception, or your company logo and message to your employees for a corporate event, we want to identify your event and help your guests to remember how much fun they had long after the event is over. 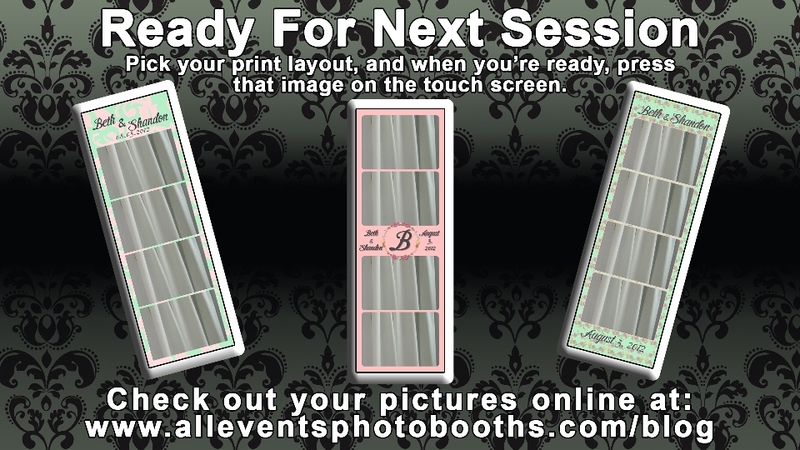 Of course, we’ll create something to brand your event on the print layout, but we can also create custom screens to display inside of the booth while the photo session is going. There are several screens that display while the photo booth counts down to each picture. 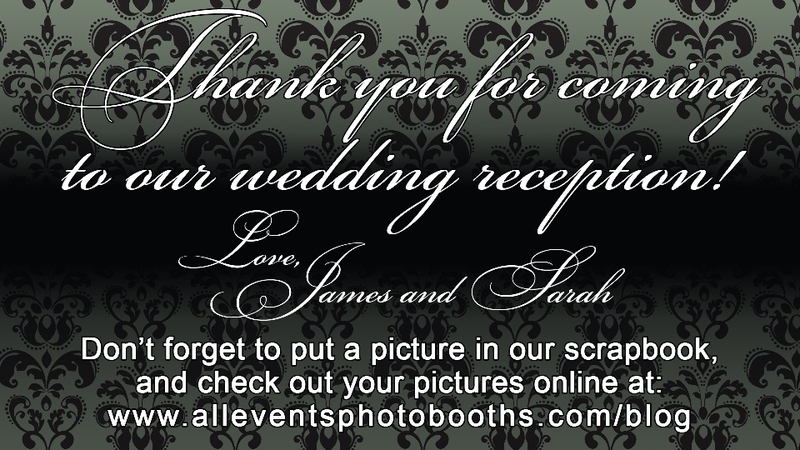 On these screens we can also include messages to the guests, pictures, logos, or anything else that you want. 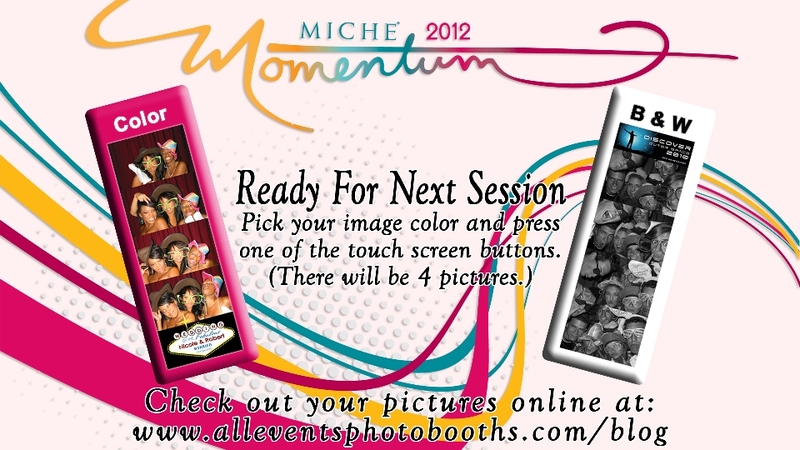 Check out these different custom branded photo booth screens. This was a fun Alice in Wonderland themed Halloween Party. Here was one we did for Miche Bag. This was a really fun event! This was one of the screens during a Twilight Moms movie premiere party. The black rectangle in the middle is where guests could see the live preview of themselves in the booth. Here’s a “Thank You” message from a bride and groom. Props are always a big hit at any event, and you’re not limited here either. We can do general props, stick props, chalk boards, signs, custom themed props, and the list goes on. 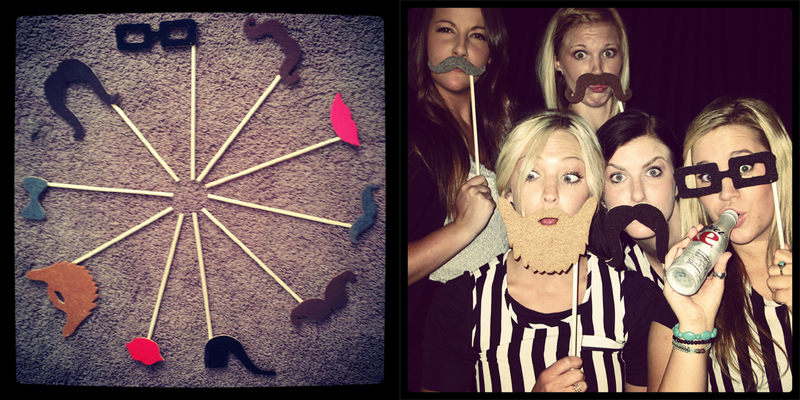 Because we have several photo booths, we also have a stockpile of props. 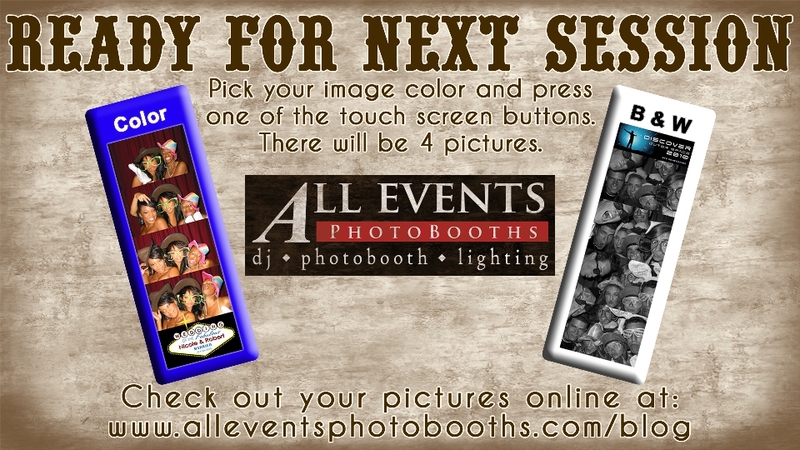 This means that even if you have a specific event theme, chances are we have props for you. All of this is free for every event. If you want a full box of custom props for a specific theme, and we don’t happen to have what you’re looking for, we can even create a custom prop box for you for a small fee. There is so much more that we can do to really make your event unique. You can truly turn your photo strips into gifts for your guests by ordering photo frames. 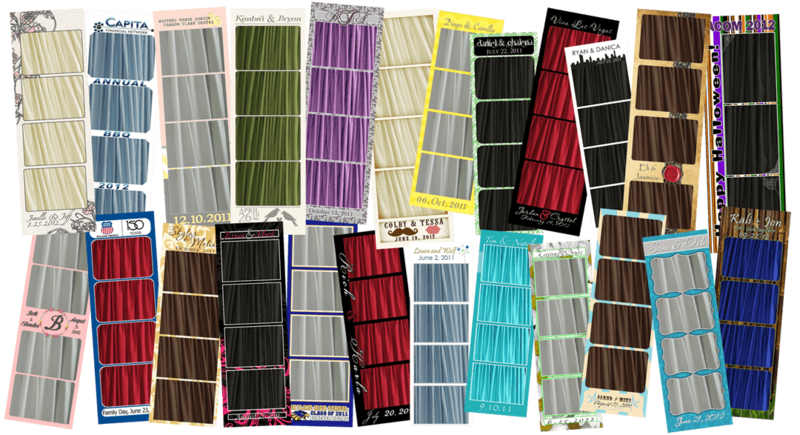 These come in a variety of styles, including simple card stock frames, acrylic frames, magnet frames, bookmarks, and more. 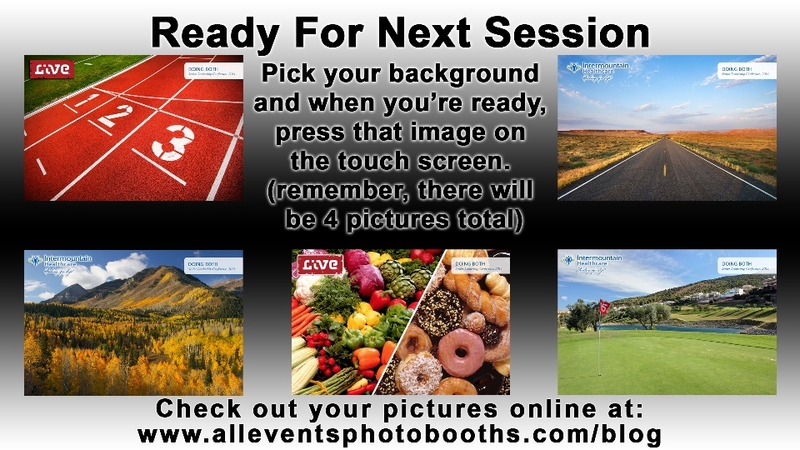 You can also make the booth experience even more unique with a green screen photo booth, custom audio in the photo booth, slideshows, and other personal touches. We can help you think of things that are unique to you or your event, and then include those things in the photo booth experience for your guests to enjoy. Check out this idea. 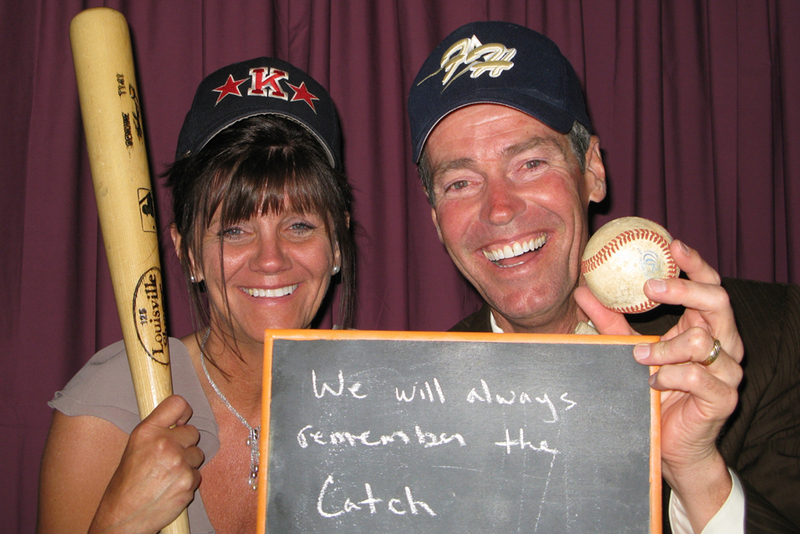 The groom was a baseball player, so mom and dad grabbed some of his baseball stuff. They brought it into the booth for their picture session. These props weren’t for everyone to use, just for this one session. The scrapbook page they created was totally personalized and way more meaningful. Here they are in the booth. We’ve been doing this for years now, so what you see here is just a small sample of what we’ve done and seen in the photo booth. 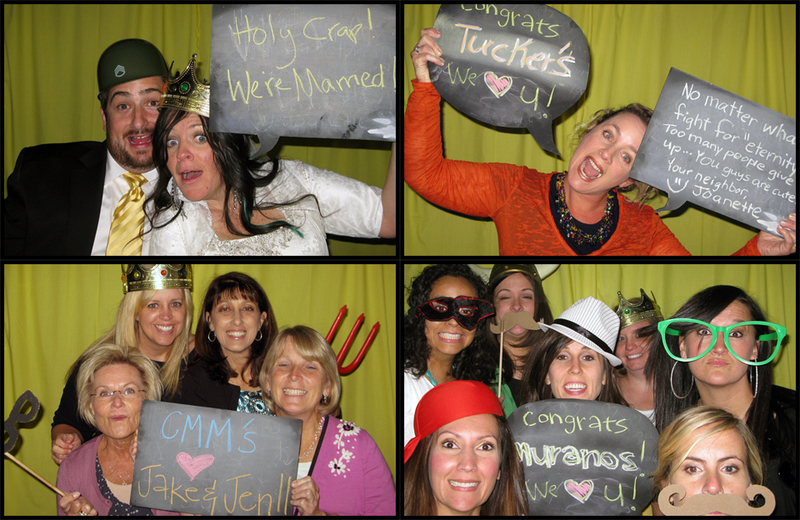 Let us know if you need more ideas on how to make your photo booth experience special.